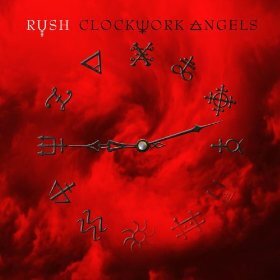 Rush’s 20th album, Clockwork Angels, is some of the heaviest music the Canadian trio has ever created. Opener “Caravan” is a tight pounder, while “BU2B,” the second tune, has a more direct lyric and more menacing Alex Lifeson guitar playing. The title track has some great opening wetness from Lifeson, a good pop and groove (at the beginning of each verse at least) and Geddy Lee’s vocals are especially effective in the chorus; the middle of this tune gets super funky in a way I’d be hard pressed to explain and certainly far and away from what Rush usually plays! “Carnies” sounds like an earlier, heavier Rush tune, something in the “Working Man” mold. It’s is another heavy tune, while “Seven Cities of Gold” shows some of Neal Peart (maybe rock’s best drummer) working his magic like crazy. But “Headlong Flight” sees him, as well as the rest of Rush, truly on fire. This is by far the best song of the 12 here and Peart does things that even for him are truly spell binding, especially his placement of a low tom. There is a “BU2B” reprise that’s basically keys and Geddy’s vocals. “The Garden,” an acoustic guitar-led piece, is just perfect, with equally perfect and rich Geddy Lee vocals and Peart’s lyrics concluding what is basically this concept album. Rush fans, progressive rock aficionados and fans of heavy hard music have lots to rejoice over in Rush’s Clockwork Angels.